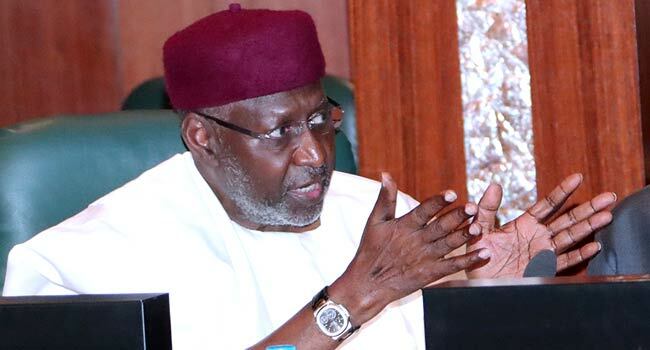 The Presidency has condemned the report which alleged that President Muhammadu Buhari’s Chief of Staff, Mr Abba Kyari, received a bribe of N29m to award a contract. Hours after the report emerged on Saturday, the Presidency faulted the allegation in a statement by the Senior Special Assistant to the President on Media and Publicity, Mr Garba Shehu. With five months to the general elections, the Presidency accused some politicians of working to build pressure on the Muhammadu Buhari administration by wielding scandals it said do not exist against it. It said the supply of 15 Hilux vehicles for the Presidency as claimed was an unlikely contract to have been awarded, noting that the contract did not exist anywhere in the 2016 and 2017 budgets. “Checking the appropriation for 2016 and 2017, that request is not even there. How could Abba Kyari have asked for money to award a contract that did not exist anywhere at all?” the Presidency questioned. “In addition to that, the amount allegedly given in bribe was also suspicious, as the office of the presidential aide had been known in the past to receive imprest of 200 million naira and above every month, with no one expected to give account. It was only since Abba Kyari occupied that position that things changed,” it said. The statement also asked the media to ensure they do not rush to publish accusations against government officials without verifying them diligently as required by their profession. It also decried that the allegations against Mr Kyari were weak accusations, saying the presidential aide has resolved to seek justice in court.